What is the Weighting of the S&P 500? If you’ve ever dipped so much as a toe into investing, you’ve probably heard about the Standard & Poor’s 500 Index. The S&P 500 is arguably the most common index used to track the performance of the U.S. stock market. It is based on the stock prices of 500 large companies that trade on the New York Stock Exchange or the NASDAQ. 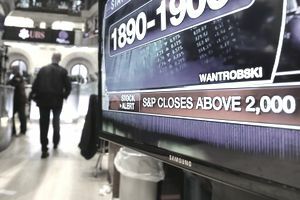 The S&P 500 is often hailed as a representation of the entire U.S. stock market and American business as a whole, but this is not entirely true. While it does give investors exposure to a broad swath of the economy, it is heavily weighted toward specific market capitalizations, sectors, and industries. This is important to know if you are an investor seeking to build a diversified equity portfolio. By design, the S&P 500 includes only large companies. Only the biggest companies with massive market capitalizations (usually above $50 billion) are included. Think of large firms like Apple, Alphabet, Amazon, Microsoft, JP Morgan Chase, and Berkshire Hathaway. One could argue that the S&P 500 is 100 percent weighted toward large cap firms, though many of the biggest firms would technically be considered mega cap. Thus, it’s important for investors to know that while investing in the S&P 500 can be quite lucrative, they may be missing out on returns from medium and small companies. Those looking for exposure to smaller firms should consider investments that track the S&P 400, consisting of the top mid cap companies, or the Russell 2000, which features mostly smaller companies. Any attempt to diversify your stock portfolio should include some attempt at diversification according to sector and industry. In fact, some investment strategies suggest a perfect balance of sectors, because any sector can be the best-performing group in any given year. In recent years, certain sectors and industries have performed better than others, and that is now reflected in the makeup of the S&P 500. It also means that many sectors will be underrepresented in the index. As you can see, the S&P is heavily weighted toward tech stocks, health care and financials. Meanwhile, there is not much representation among utilities, real estate companies, or those involved in producing and selling raw materials. This weighting has changed over the years, of course. Travel back 25 years, and you’ll likely see far fewer tech companies and more emphasis on consumer discretionary and communications companies. Go back 50 years, and the mix will look entirely different as well. Understanding the weighting of the S&P 500 should be important to investors because the index is not always a representation of the types of companies performing the best in any given year. While technology and health care stocks may have been growing overall recently, they have not necessarily been the best-performing sectors every year. For example, while consumer discretionary may be the top performing sector in 2018, it ranked third in 2017 and 8th in 2016. Meanwhile, communications services may be second-to-last in performance this year, it ranked second just two years ago. Financial stocks were obviously dead last in 2008 and 2009 in the midst of the financial crisis, but the sector claimed the top spot in 2012. Predicting which sectors will perform best in any given year is very difficult, which is why diversification is key. Investing in the S&P 500 through a low-cost index fund can provide a very strong base for most stock portfolios. But to get broad diversification among market capitalization and sector, it may help to expand your investments. Fortunately, there are mutual funds and exchange-traded funds (ETFs) that provide exposure to whatever you may be seeking. An investor looking to boost their portfolio by purchasing small-cap stocks can buy shares of an index fund designed to mirror the Russell 2000. Someone looking to invest more in financial stocks can access funds comprised of a wide range of banks and financial services firms. Most investors who build their portfolios entirely out of U.S. equities will probably make out fine. America is still the largest and most dynamic economy in the world, after all. But, there are many instances when events and growth cycles allow markets outside the U.S. to outperform. The S&P 500 is exclusively comprised of U.S. equities, and therefore offers nothing in the way of international exposure. That’s why many financial advisors suggest carving out a portion of your stock portfolio to equities in Europe, Asia, South America, and emerging markets. There are many mutual funds and ETFs that designed to take advantage of these non-U.S. opportunities.